Insurers are embracing digital to meet the demands of the modern consumer. And of course there are obvious benefits to them from less costly, more streamlined interactions with their customers. The trouble is that digitisation comes with a major health warning: unless insurers put suitable measures in place, they risk being exposed by increasingly sophisticated fraudsters and falling prey to one in around every 10 claims being fraudulent. Since the turn of the millennium, ‘brochure web sites’ for insurance companies have been replaced with ecommerce platforms that can transact new business directly with customers online. More recently we have seen the rise of the insurance aggregator, allowing customers to enter their insurance needs into a website and in seconds receive quotes from potentially hundreds of insurers. It has improved choice and made the marketplace more competitive. 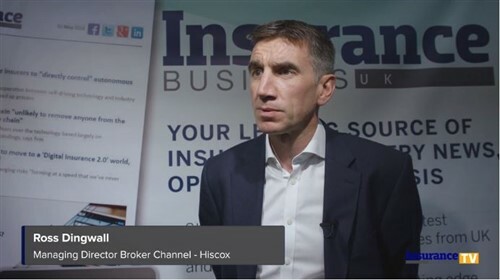 Fast forward to today and insurers are digitising more of the insurance process. This includes mid-term policy adjustments, claims notification and claims updates through self-service web interfaces and mobile apps. 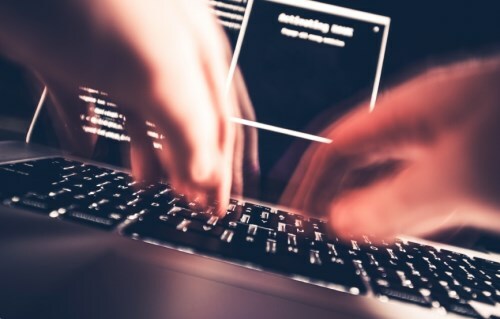 While insurers are improving their digitisation capabilities, criminals are finding new ways to bypass the law and detection measures. The Association of British Insurers estimates that fraud adds, on average, an extra £50 to the annual insurance bill for every UK policyholder. An emerging concern is that the increased focus on digital technologies is removing experienced insurance staff from the centre of the insurer. Where they would normally be introducing, holding and managing a relationship with the customer, new technologies such as ‘robo-advisors’ and easy-to-use web enquiry pages are set to replace this. This removes the human interaction aspect from a new business and claims process. Whilst this makes sense from a cost benefit aspect, some insurers have not considered the potential impact on fraud rates. The sophistication of fraudsters and their determination to crack the system should not be underestimated. Individuals, households or organised criminal gangs who deliberately invent or expand claims will invest time and energy into understanding how best to exploit an insurer’s weaknesses in its fraud defences. Once known, expect a fraudster to act quickly to exploit a weakness – velocity of fraud is definitely on the rise. Does digitisation make it too easy for premeditative fraudsters to make claims? Perhaps. For example, fraudsters can manipulate a motor insurance quote from the comfort of their armchair. Changing rating factors such as annual mileage, or where a vehicle is kept overnight can significantly reduce the quotation. Similarly, when there’s a real claim for stolen property, it’s easy for the fraudster to add a few additional items to the list, or inflate the value of a damaged or stolen item. A number of claims managers have expressed concerns that digital platforms and processes are not monitoring the full spectrum of clients. We’ve heard cases where, post-digitisation, the claims incidence for a given book of policy business has increased significantly. There is no guarantee this unwelcome uplift is due to fraud but it seems likely. For the 90 per cent of customers that make a genuine claim insurers want to ensure that they get the best service possible. And many digitisation efforts are looking to address this and should be applauded. But what about the one in 10? Insurers are already embarking on ground-breaking anti-fraud projects. For example, identifying the IP address of an applicant or claimant’s computer or mobile device and looking for repeats has helped stem some of the tide. What if we could use the data that exists within the insurer to progress the claimant or new business applicant down a specific path? Straight Through Processing (STP) has been around for some time, but what if we had real confidence that those claimants who were going down an STP route were part of the 90 per cent, rather than the 10 per cent? Fraud analytics can be used to help steer the customer journey. Insurers can leverage real-time analytics to work out which claimants should go through the STP channel, or be automatically accepted as new business. Analytics can also be used to identify which claimants or new business applicants should be referred to an insurance professional. Data analytics can screen new applicant to see if they ‘fit’ into a known high scoring fraud ring, and then pass this on for further investigation. Emerging threats and trends can be identified based on the insurer’s data, enabling the insurer to stay ahead of the next fraud wave. Insurers using digital transformation programmes to provide a customer centric service should be encouraged, especially if they also have anti-fraud measures in place to protect their customers and lower premiums.